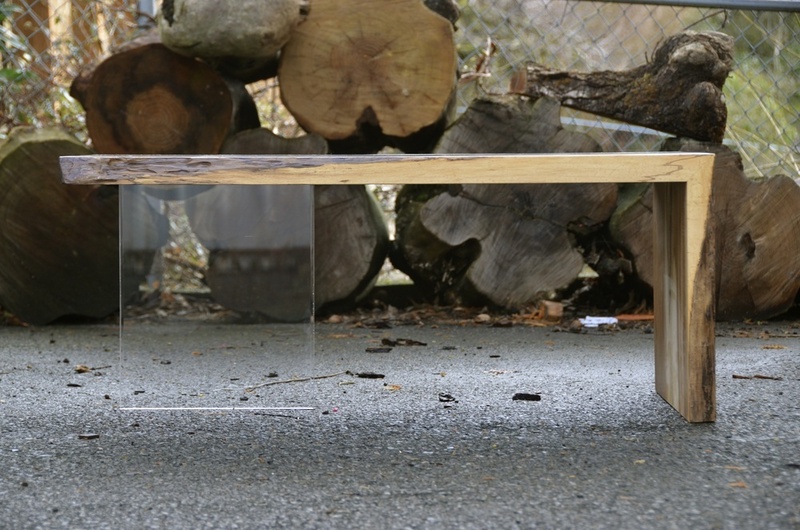 Furniture maker Greg Klassen has designed unique collection of dining and coffee table. 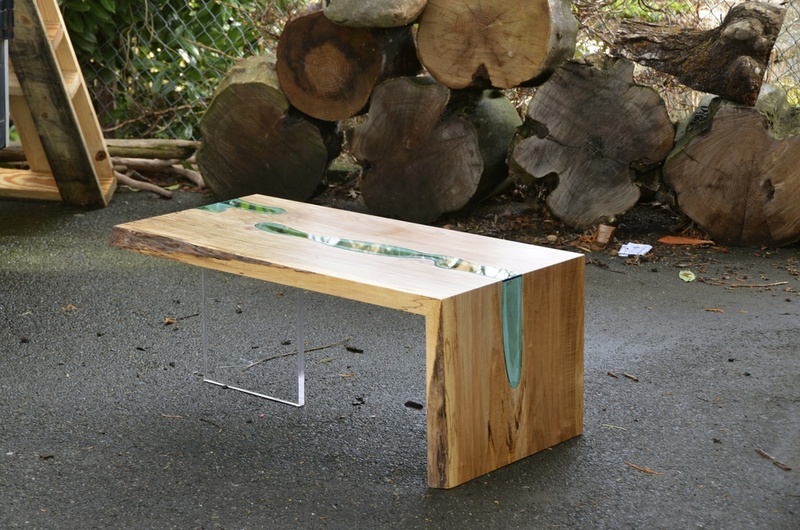 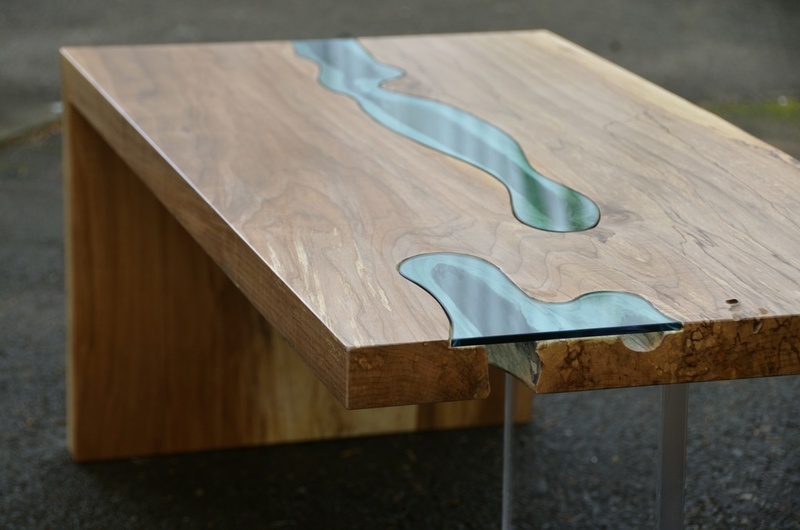 Each table features hand-cut glass pieces running through the center of the wood construction. 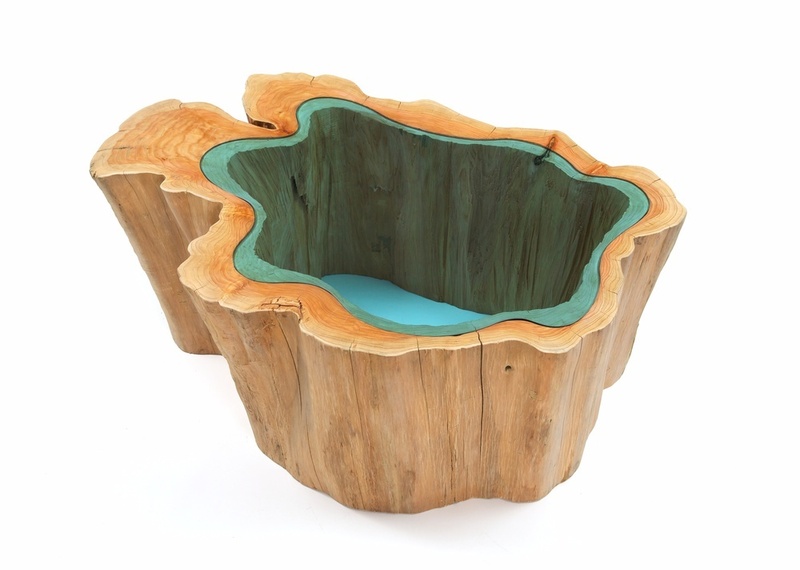 Each piece of wood was used from discarded trees from construction sites, and dying trees that were just beginning to rot. 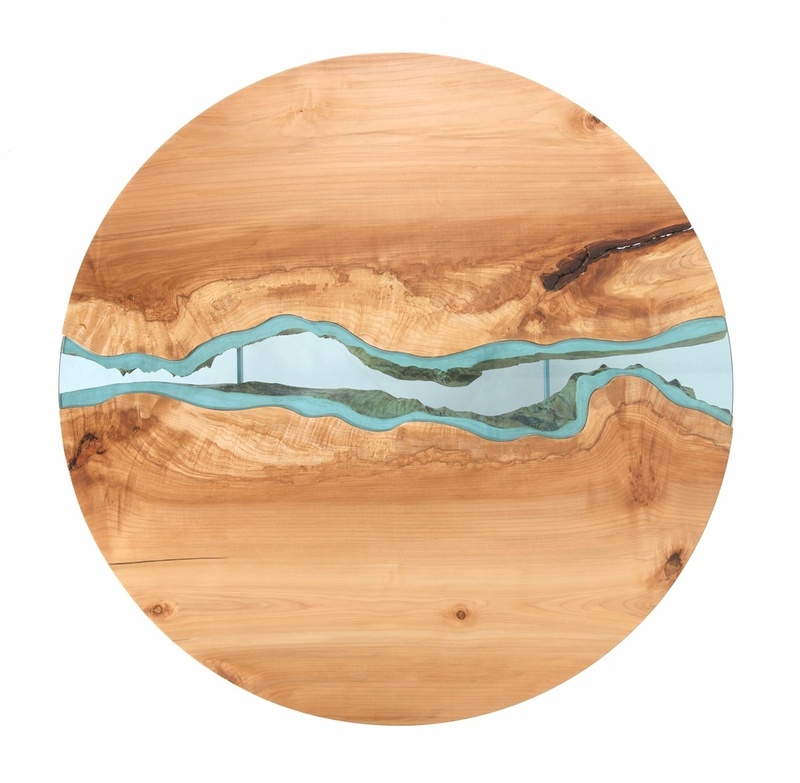 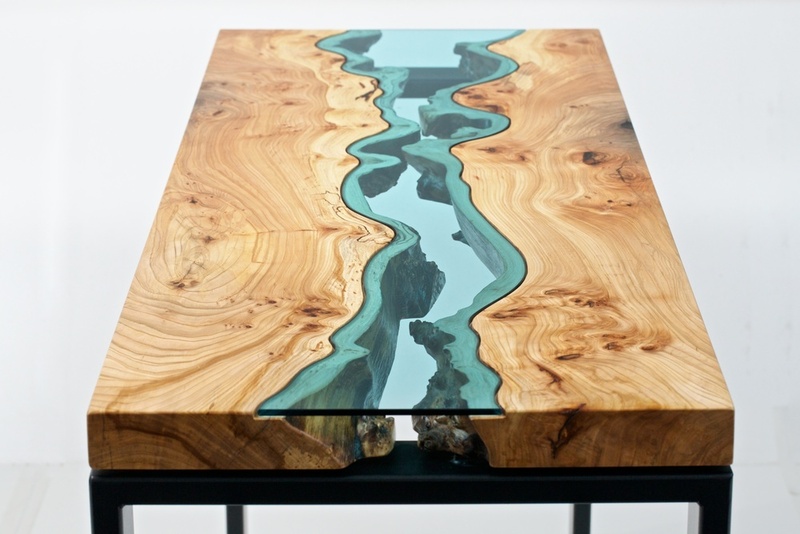 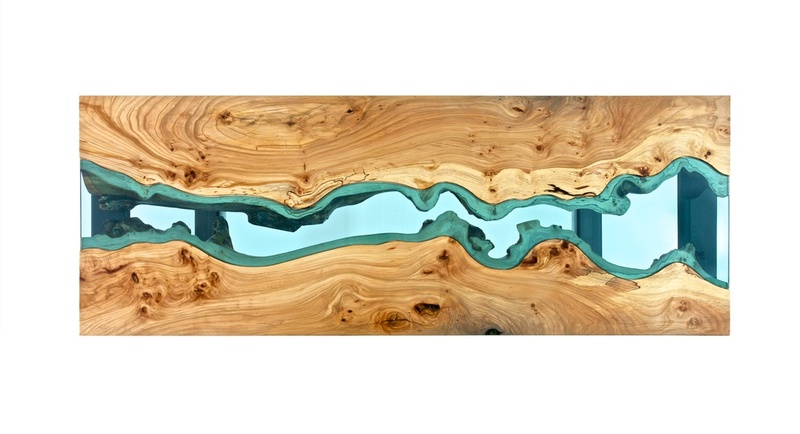 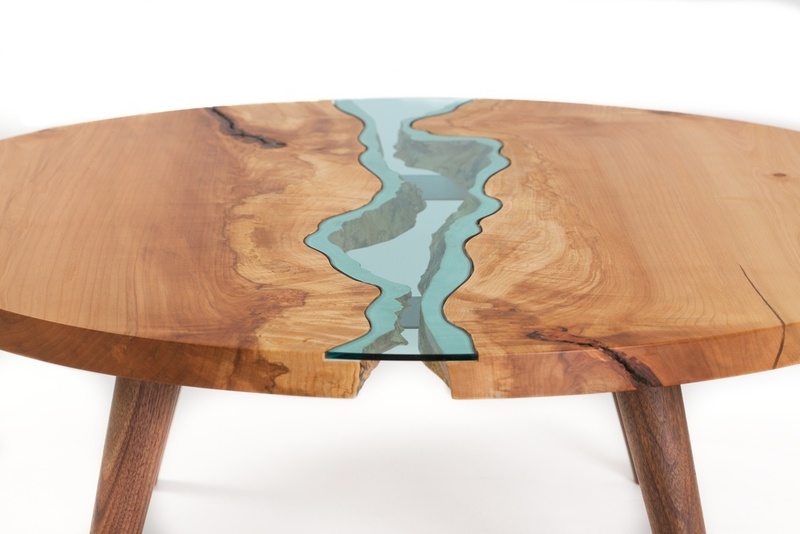 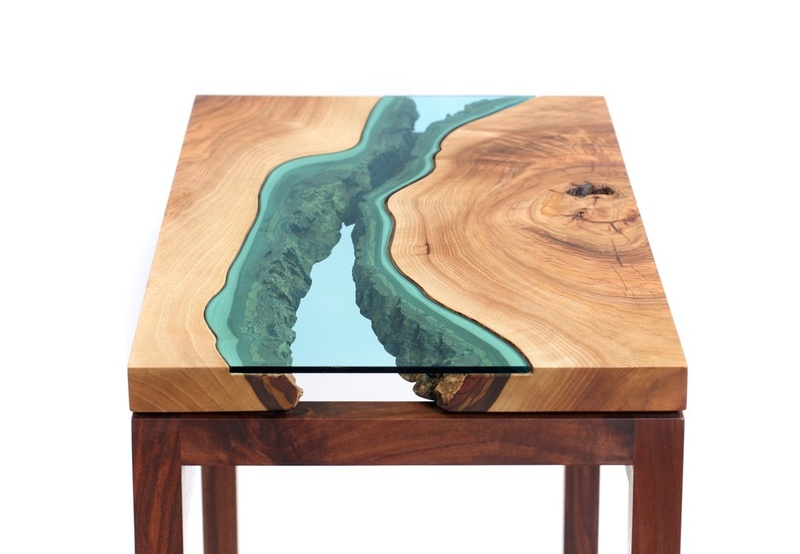 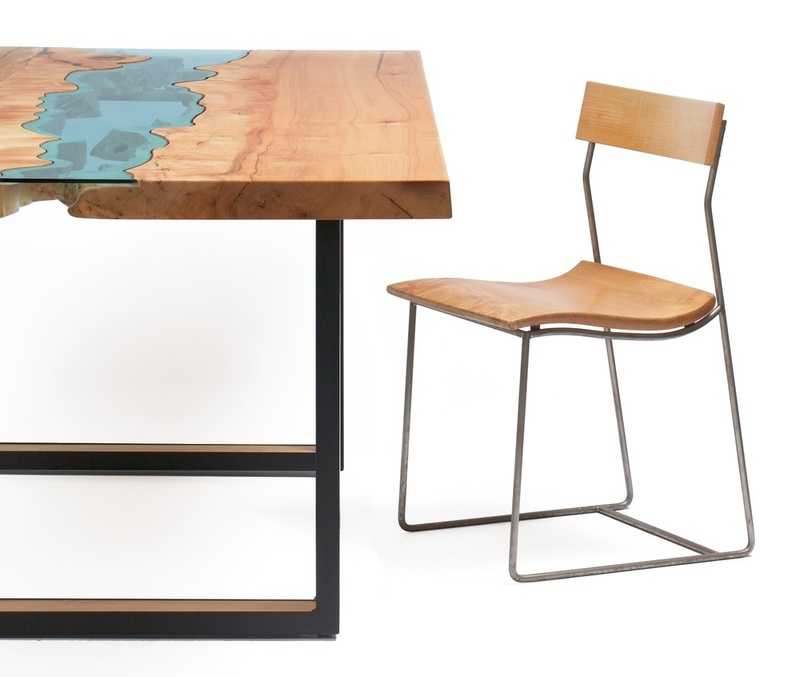 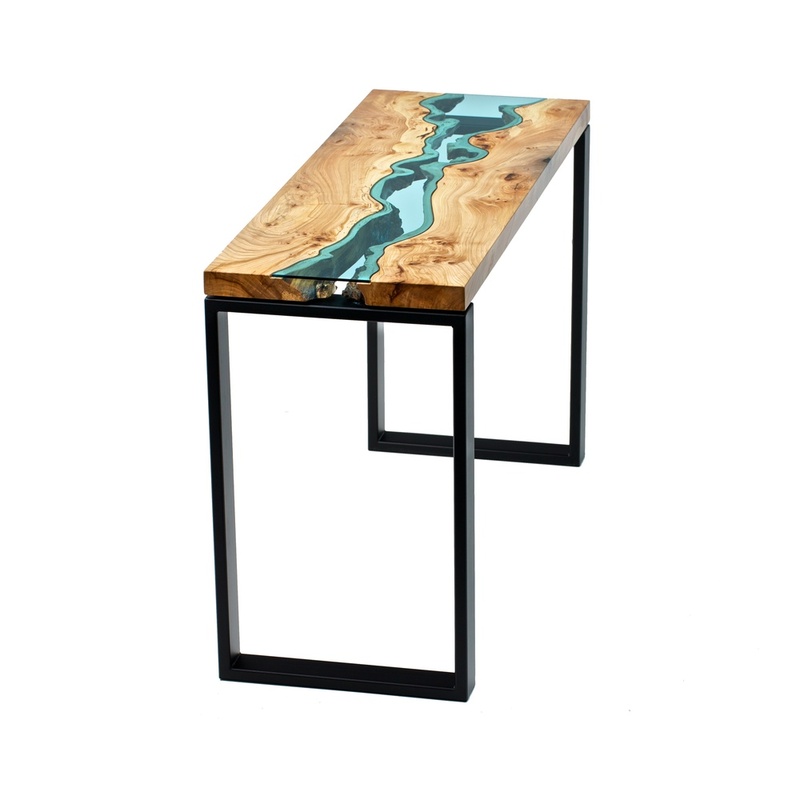 The intricate glass process was designed to look like just like a body of water flowing through the middle of the table, and the pattern mimics the jagged shores of both lakes and rivers. 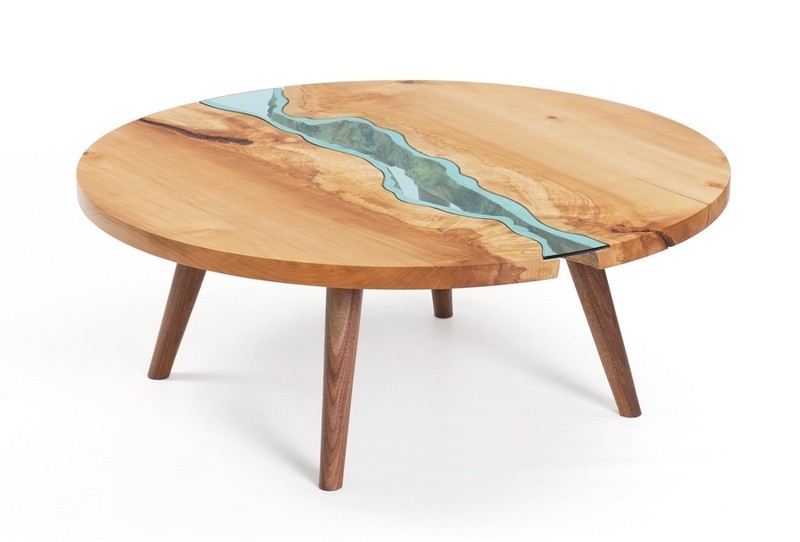 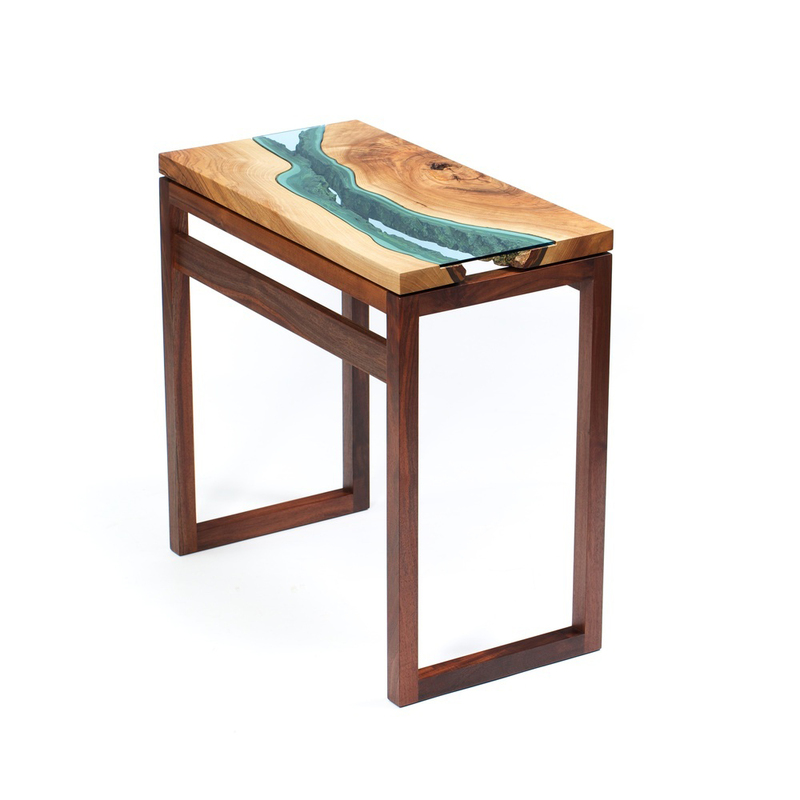 Klassen says that his inspiration came from the beautiful surroundings of the Pacific Northwest. 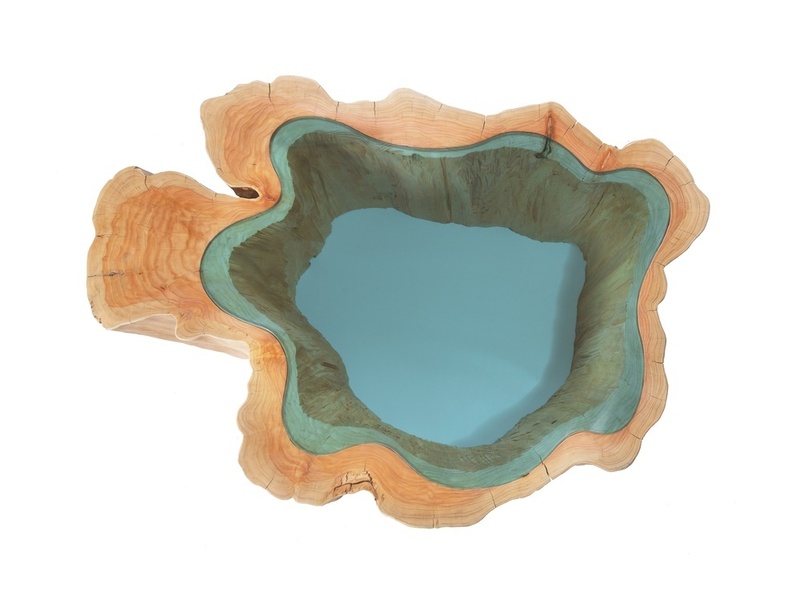 These works of art can be purchased in several different shapes and sizes, directly from the designer’s website.